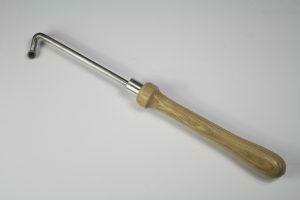 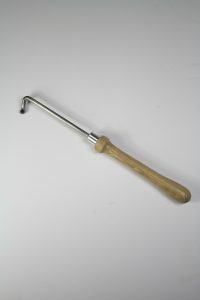 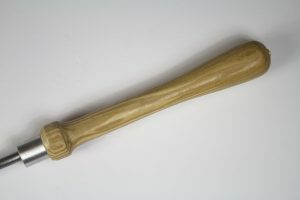 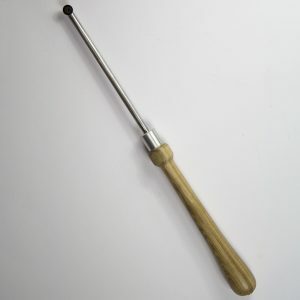 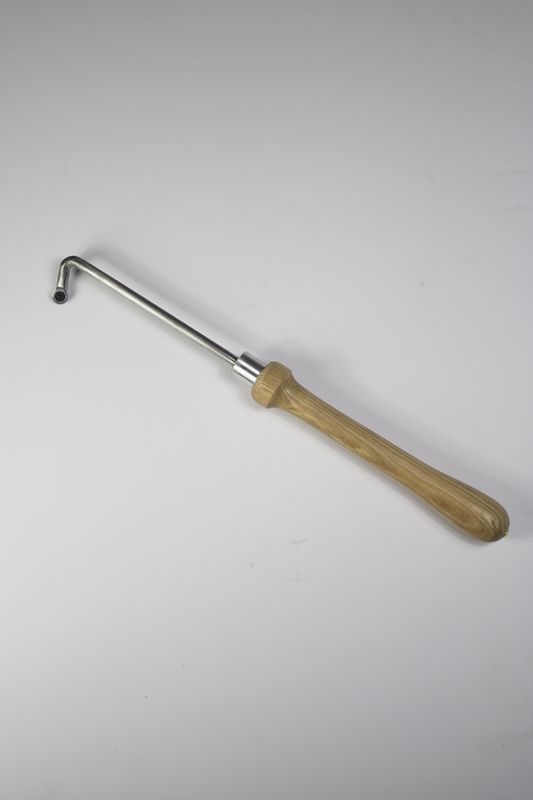 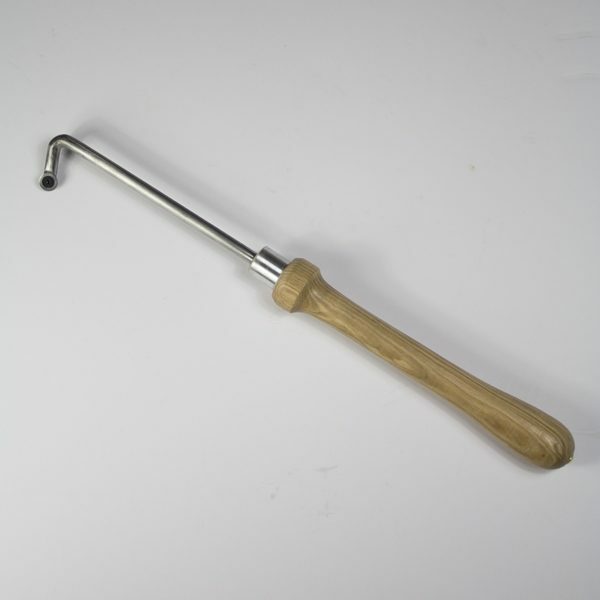 Carbide tipped, Steel shaft and wooden handle. 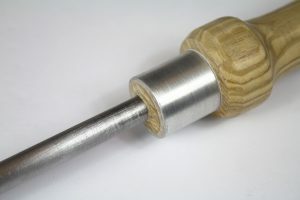 This handmade Chisel is a perfect tools for bowl work. 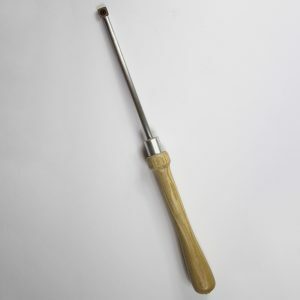 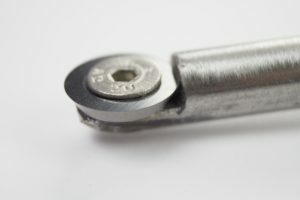 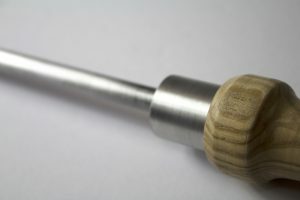 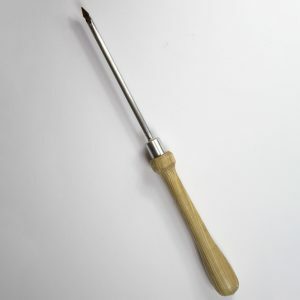 The circular tip and curved design is perfect for working with woods of all kinds and especially work on bowl interiors.